Ken-Mar Tax... "Think outside the Block"
Ken Weinberg has over 20 years experience preparing taxes for individuals and owners of small businesses. Ken-Mar Tax Services specializes in helping the small business owner develop a tax strategy that provides the basis for true growth, based on a long term wealth development plan. Ken Weinberg is more than just a tax preparer, he is an Enrolled Agent. An Enrolled Agent provides a depth of understanding in regard to the IRS tax code that goes farther than the average tax preparer. Held to high standards of training and performance, your Enrolled Agent is better prepared to save your hard earned dollars and minimize your annual tax burden. 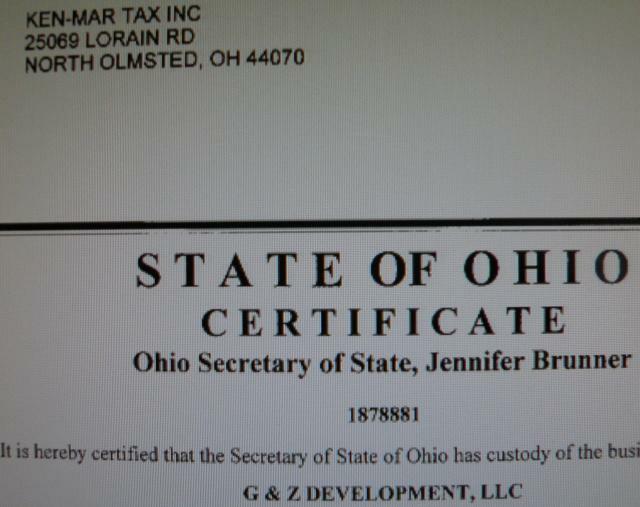 Property transferred to G & Z Development LLC on 12/20/12. NO property taxes ever paid since the deed transferred. Submitted by lmcshane on Sat, 03/08/2014 - 12:31.